Overwhelmed with the recruiting process? If you recruit more than a few times per year, you’ll know how much time and people resource can be taken up in this process. Today, there are so many great, SaaS-y (software as a service) tools on the market to help employers streamline and automate parts of the recruitment and HR workflow – from sourcing, screening and interviewing job seekers, through to onboarding, payroll, leave management and performance management. Yes, many of these tools require a bit of investment, but many now have monthly payment models, free trials and pay-as-you-go, or per user plans. 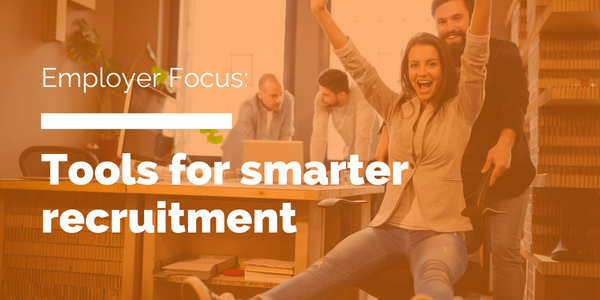 Even for smaller do-good organisations, if you can save a few days, or weeks, each year from more streamlined, smarter recruitment (and even volunteer recruitment process), what could this time be worth to your organisation? Could it free up more time to help your team reach your mission, faster? There are literally hundreds of applicant tracking systems (ATS) on the market. Capterra has surveyed buyers to come up with a variety of lists (most popular, most affordable, and most user-friendly) so do take a look here if you’re shopping for applicant tracking software. Touted as an “all in one recruiting software”, Workable provides applicant tracking, a careers page for your website and even social integration recruiting functions. It helps your hiring team collaborate and communicate with candidates through email templates, scheduling features, scorecards and evaluations. They offer a pay-as-you-go, per job price ($50 per job, per month). For more frequent recruiters, you’ll need to get pricing from them. It’s been used by charities like the Make A Wish Foundation internationally. The TalentApp Store is made by a Kiwi company, Aotal, who also developed the SnapHire ATS platform – another platform to check out. The TalentApp store is an open integration hub – the idea is to provide a marketplace where small, innovative, best of breed HR SaaS applications can be bundled together into a secure tool for recruiting, growing and managing talent. 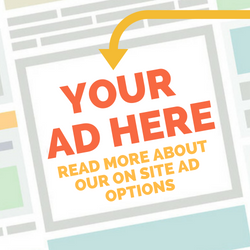 You can see it in action on career sites like St John and Auckland Council. BambooHR is about “the people, not the paperwork”. It’s an online Human Resources Information System (HRIS) that includes an applicant tracking system, self-onboarding, employee leave management, employee database and records and reporting. Some of the NZ charities thatI can spy that currently seem to be using BambooHR include Oxfam NZ, MOTAT, and Amnesty International NZ. All these seem too big and expensive to you? Check out HR.my for a completely free tool with leave management, employee self-service all included in the system (it is a Malaysian based website, so the payroll service might not suit, in which case check out thankyoupayroll.co.nz a local Kiwi social enterprise). Also, visit WebHR which has a free option for small organisations of five or less employers. A FREE tool where you can send a poll to workmates, and candidates to fill in times that suit them for an interview. It’s an extremely useful tool for setting up meeting times with colleagues, or even organising a night out with friends! While Skype might be your free answer for conducting an online job interview, there are also a number of offerings that can help with interviewing – from recording interviews, to removing you from the picture with on-demand digital interviewing tools. Provides a way for organisations to conduct remote first round interviews. You set up the questions you want applicants to answer, they receive an email from you to log in to the Vieple platform, practice their answers and then record them. You and your team can then assess their responses and choose which candidates to take through to the next round. HireVue has a few different services. One is a live video interview conference that can be recorded and shared with others to get feedback on candidates. They also have an OnDemand interview tool (like Vieple above), where you can get multiple candidates to answer a series of standardized interview questions and allow you to do a side-by-side evaluation on each candidate. One of its differentiators is incorporating “Industrial-Organisational Psychology” in its pre-hire interview analyses. Slightly terrifying if you’re prone to pulling lots of funny faces….It collects about 25,000 data points from video interviews including verbal response, intonation, nonverbal communication. These are analyzed by their proprietary machine learning algorithms to predict a potential employee’s skills, fit and future job performance…..the future of the interview perhaps?? For those who really want to take their performance management to the next level and make sure they are retaining their top staff, 15Five has created a tool focused on forward-looking performance reviews, quarterly objectives, weekly check-ins, and employee recognition. If you’re a fresh start-up or social enterprise, this might work well for your work culture, but likewise if your organisation needs an internal performance review revamp, 15five.com has helped lots of top companies rise up on the lists like Best Places to Work and Inc. 5000. Happy staff means better retention and less recruiting, so it could be worth the investment! Have a tool you use for recruiting at your Do Good business? Please share these in the comments below to help our community of employers in the not for profit and social good space recruit smarter. I found it hard to find transparent pricing models for many of these tools, so it wol be useful if you could also indicate the approximate annual or monthly costs of the tool. Thanks! If you are interested in other tools for saving time and working smarter, check out our blog: Ten Tech Tools of the Do Good Trade.